Can you say GORGEOUS?! I absolutely love it. I think this cover says the book will be dark yet beautiful. It screams southern goth. But lets hear your thoughts. What do you think of it? I wonder if it'll be soft like the Fallen cover. 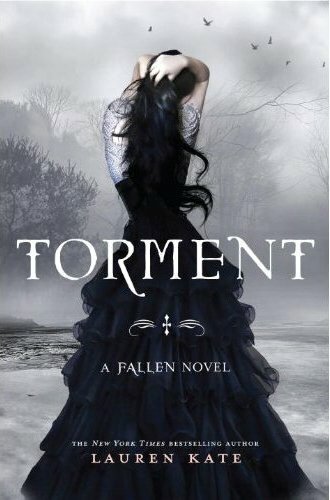 Torment by Lauren Kate releases September 2nd. This fan can't wait! Ooo... I like that. These books have great covers. OMG I LOVE LOVE IT...WOW.. I KNOW! These books really do have great covers. And I love how well they tie in together.